"There's two theories to arguin' with a woman. Neither one works." "A man is best known by the company he avoids." 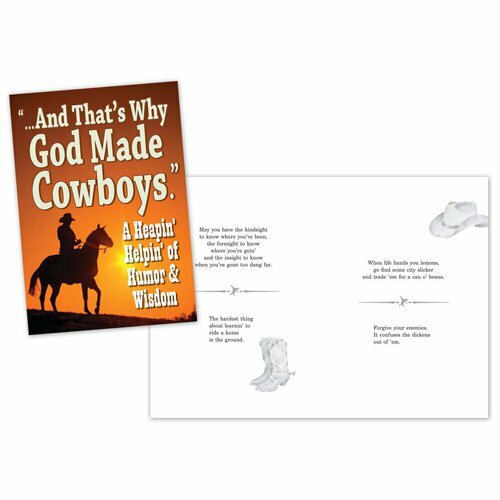 Keep this book of Cowboy wit and wisdom by yer bunk and turn to it when you need to say an earnest prayer, get yerself some good honest guidance or have yerself a chuckle.